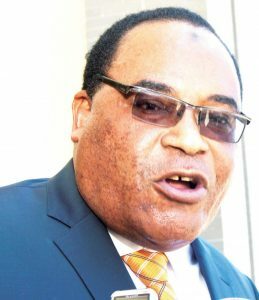 The High Court in Lilongwe has summoned medical personnel at Mwaiwathu Private Hospital to testify in the passport case involving former Home Affairs and Internal Security minister Uladi Mussa and four others. The court wants the medical personnel to testify on the medical certificate the hospital issued to Mussa when he sought medical care. Mussa used the certificate to justify his absence from the court on January 21 2019, a ground which the State found unsatisfactory. Kamudoni Nyasulu, Anti-Corruption Bureau (ACB) State prosecutor, told the court on January 23 2019 that the accused sent a medical certificate and pharmacy stock sheet as evidence to justify his absence. “The State finds this evidence unsatisfactory and prays the court to allow it to cross-examine both the first accused Uladi Mussa and doctor who issued the certificate,” the letter reads. In a letter dated February 7 2019, one of the lawyers for Mussa, Henry George Kadzakumanja of Robert and George Chambers, informs the hospital personnel to appear before the court on February 11 2019. “The State has issues with the said medical certificate and applied to the court that the Officer, Dr Banda, who examined and treated Dr Uladi Mussa, should come to court to testify [sic] what he knows about the issue,” the letter reads. Mussa and four others, including former Immigration Department chief citizenship officer David Kwanjana, are answering the charge of allegedly fraudulently issuing citizenships and passports to Burundians and Rwandans, among other foreign nationals. Hearing of the case continues next month. Tom Sangala – who has written 3234 posts on The Times Group.